Phillip Island, located less than two hours away from Melbourne, is a super popular place to visit for both locals and tourists alike. Thousands of people make their way to the island each year to get away from the city and enjoy everything on offer in this amazing part of Australia. Fortunately you don’t need to have access to a house to spend a few nights on the island as there are some great camping options available. To help you decide if Phillip Island is for you, here is some important information and things to consider about the area, as well as a few frequently asked questions. What are some of the best camping spots on Phillip Island? 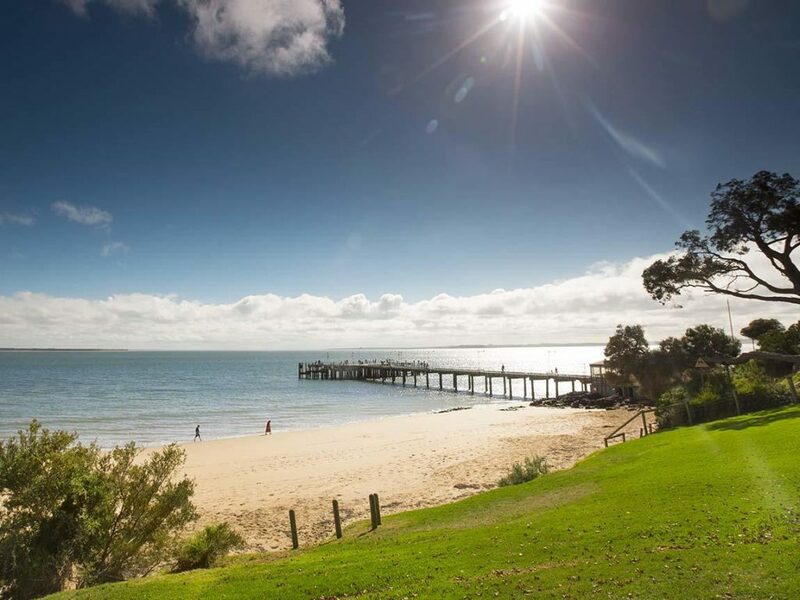 Part of the Big4 group of holiday parks, Phillip Island Caravan Park is one of the top camping spots on the island. Naturally, it gets busiest during the summer season, with its direct access to the beach. Being surrounded by dense forest areas, small rabbits and beautiful water birds can be seen around the camp ground. Activities at the park include a TV and video room, free wireless internet (for 24 hours), a basketball ring, adventure playground, volleyball net, and the popular giant jumping pillow. Amaroo park is known for being a peaceful place to relax. The camp is quiet and within walking distance of many restaurants, supermarkets, and the beach. Although the park is not directly on the beach, it is surrounded by a series of well-maintained gardens and lawn areas. The park offers free wireless internet, a games room, picnic areas, a heated pool, a Japanese restaurant, and more. Anchor Belle Holiday Park is family-friendly and is settled among nearly 5 acres of vast wilderness. It’s close to the beach, many shops and places to eat. It features a heated pool, a camp kitchen, BBQ stations, playground, and grassy areas for relaxing. Phillip Island offers a variety of fun activities for its visitors. These include dining, wildlife viewing, beaches, shopping, motor sports, spas, and scenic locations. Pino’s trattoria is one of the island’s hidden gems. It’s located away from main street and has been serving the area for over 20 years. The establishment prides itself in serving tasty Italian food, including the classic Italian dishes of pizza and pasta. Island Pies offers Phillip Island visitors a unique pastry experience. The café serves both sweet and savory pastry dishes, along side thick milkshakes and fresh coffee. Dishes from Island Pies can be purchased in many stores around Phillip Island, as well as at their physical location. The Cape Kitchen offers its clients a beautiful view of the Southern Ocean coastline, as well as an extensive menu of delicious food. The Cape Kitchen utilizes fresh ingredients that are in season and works hard to introduce unique Australian flavors into its dishes. It also offers a Victorian-themed list of wine from local breweries, as well as a large selection of beers, gin, and organic non-alcoholic drinks and spirits. Wing Ho specializes in Chinese and Cantonese foods that are made with high-quality ingredients and care. The restaurant is licensed to serve liquor but has a BYO (bring your own) policy on wine. The Koala Conservation Centre on Phillip Island is home to a number of friendly koalas. The conservation centre allows guests to get up close and personal with the koalas by offering tours, informational talks, and viewing from a tree top boardwalk. Showcasing the beauty of the world’s smallest penguin, penguin parade gives guests a once in a lifetime chance to see penguins. The parade takes place every night at sunset when the penguins return to shore from fishing. Guests can watch the parade from a tiered seating arrangement or from an elevated boardwalk above the parade. Whale Discovery Trail allows guest to discover a group of majestic whales along the coast of the island. Guests can plan their trail and walk, ride, or drive along it to catch a glimpse of the whales in their natural habitat. Trail takers will also learn valuable information about whales and their behaviors. Islantis is a Phillip Island store that is equipped for the passionate surfer. The store sells an array of wetsuits, surf boards, body boards, surf accessories, swimwear and more. The store can be found easily by looking for the large wave statue that sits in front of it. Mosaics by The Bay sells home made pieces of mosaic art that are hand made by the owner, Heather. She makes and sells her mosaics at the store for an affordable price, allowing her customers to take home a piece of her passion. South Coast Furnishings sells some of Phillip Island’s most beautiful pieces of home furnishings. Decorating a house has never been easier than a stop at the store which sells a variety of flooring options and window coverings, sofas, beds, carpets and rugs, lamps, and cushions. All the pieces sold are coastal-themed and unique. The Phillip island Grand Prix Circuit is a versatile venue for motor sport enthusiasts. The venue offers the use of Go Karts, a guided circuit tour, slot cars, Champion’s Café, and a display showcasing the history of motor sports. The venue hosts public motor sport events and car racing. Locals and visitors flock together to attend these events, and tourists leave happy and thoroughly entertained. Zenn Therapies offers its customers a calming atmosphere and over 15 years of relaxation experience. Its services include shellac nails, microdermabrasion facials, body treatments and massage, skin care, and YoungBlood mineral makeup. Safflower, Phillip Island’s one and only Chinese medical clinic, offers its guests a range of medical services. It offers acupuncture and herbal medicine consultations, as well as cupping, massage, and moxibustion. The principles of the clinic are based on the idea of Ying and Yang and are tailored to focus on each client as an individual. The Phillip Island Helicopters have daily flights to and from the Phillip Island Airport. They provide personal, scenic tours, and corporate charters. The helicopter services focus heavily on safety and follow a number of safety procedures. Wildlife Coast Cruises allow guests to witness a number of fascinating coastal animals such as seals, dolphins, whales, and sea birds. The cruise line offers tailed cruises including but not limited to the Twilight Cruise and Seal Watching Cruise. Phillip Island is easily accessible and has many options for its visitors and locals to use to get from one place to another. The island has bus lines, ferries, helicopters and personal, designated drivers that can be hired. The bus lines are the most commonly used method of transportation as they are inclusive, cheap, and provide adequate transportation between different areas of the island. What are some health and safety tips for the beach on Phillip Island? Where can I find more information about Phillip Island? Information about the island can be found online at the Phillip Island official website or on the Phillip Island Facebook page. Phillip Island also has an official Twitter where you can keep up to date with the happenings on the island. If you or a family member has a specific question about the island, staff members can be contacted through the contact form on the official website. The form will ask for your name, email address, phone number, and home address. Once you send your question, a member of the staff will get back to you shortly.